From Left: Mini Cami Wrap Dress // Missguided Polka Dot Split Leg Maxi Dress // Parallel Lines Luxe Bodycon Dress. One of the best things about Summer, well any season really, is all the new clothes you can buy! I can, however, sympathise with those individuals (*ahem*) students/graduates (*ahem*) like me that may not be able to afford new clothes due to a restriction in their monetary funds. The perfect thing is, you can still look at the new clothes online and not have that feeling of obligation to buy them because the sales assistant has seen you pick up that denim jacket three times, circled the store four times, only to realise that your bank account will say insufficient funds on attempting to purchase said jacket. I don't think any of us want to look like lurking thieves just because we've had that slow realisation that our money should most likely be spent on things of more importance, hence the circling to justify our purchase - we don't need that kind of stress in our life! So, what's better than avoiding all of this hassle? A Summer wishlist of course, one that we can peruse in our own time, at our own pace and in the comfort of our own home! 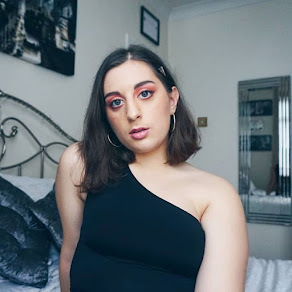 Have a look at mine and be sure to let me know in the comment section down below which item you'll be purchasing or keeping your eye on ASOS or better yet, link some of the items on your Summer wishlist - I'd love to see if we have a similar taste in fashion! From Top Left: Wrap Top In Satin With Pephem // Warehouse Stripe and Lips T-Shirt In Multi // Cami With High Neck and Tie Back // Polo Neck Crop Top In Rib In Charcoal // New Look Contrast Tipped Tee // Rare London High Neck Mesh Panel Bodysuit. From Left: Monki A-Line Mini Skirt // Wrap Mini Skirt In Scuba // Monki Denim Mini Skirt. From Left: Tailored Paperbag Leather Look Shorts // Noisy May Step Waist Pocket Detail Mom Jeans // Skinny Ponte Pinstripe Trousers. From Top Left: 70s Sleeve Mini Dress // Neon Rose Cami Dress With Bunny Ties in Cherry Print // Wrap Front Bow Scuba Mini Dress // Pretty Little Thing Polka Dot Bardot Wrap Dress // Lace Fringe Halter Backless Skater Mini Dress // Missguided Denim Tie Front Button Down Midi Dress. From Left: Pukas Palm Print Bikini // Pimkie Striped Bikini // Missguided White Side Ruched Bikini. From Left: Gossard Superboost Deep V Bralet // Wolf & Whistle Navy Cami and Short Pyjama Set // Boux Avenue Too Glam Tee & Velvet Short Pyjama Set. 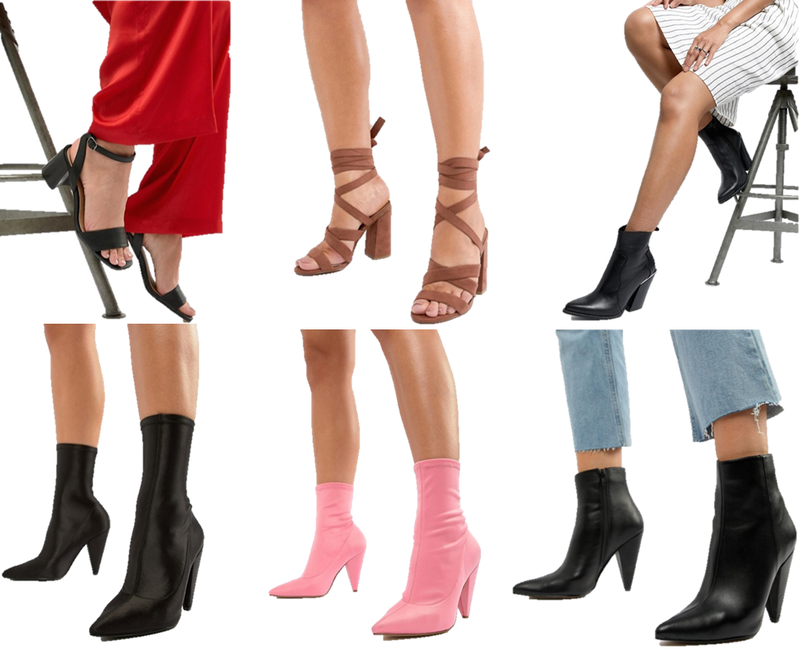 From Top Left: Tyrell Sandals // Halliwell Block Heeled Sandals // Elka Western Ankle Boots // Elope Pointed Sock Boots (Black) // Elope Pointed Sock Boots (Pink) // Erica Pointed Ankle Boots. 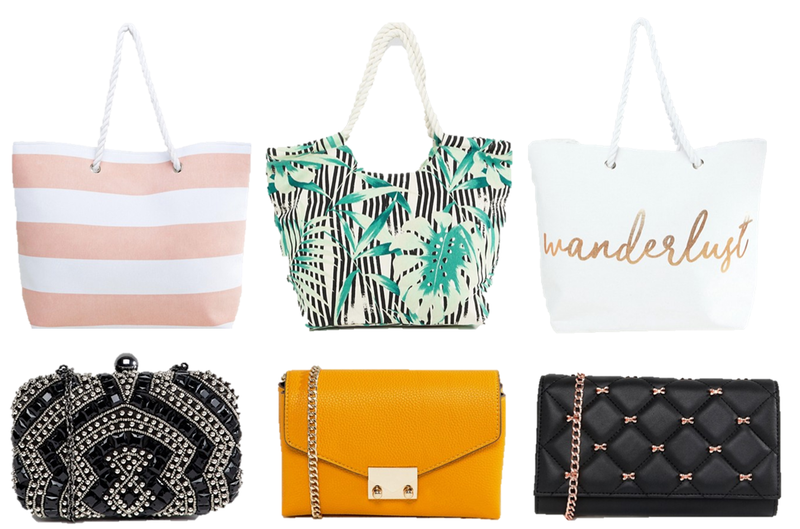 From Top Left: South Beach Pink Stripe Beach Bag // South Beach Palm Print Beach Bag // South Beach Wanderlust Cream Beach Bag // True Decadence Black Beaded Embellished Box Clutch Bag // Mango Fold Over X Body Bag // Ted Baker Quilted Bow Cross Body Purse Bag. From Left: Stradivarius Belt // Paisley Print Bandana Neckerchief/Headscarf // River Island Silver Tipped Western Belt In Black. 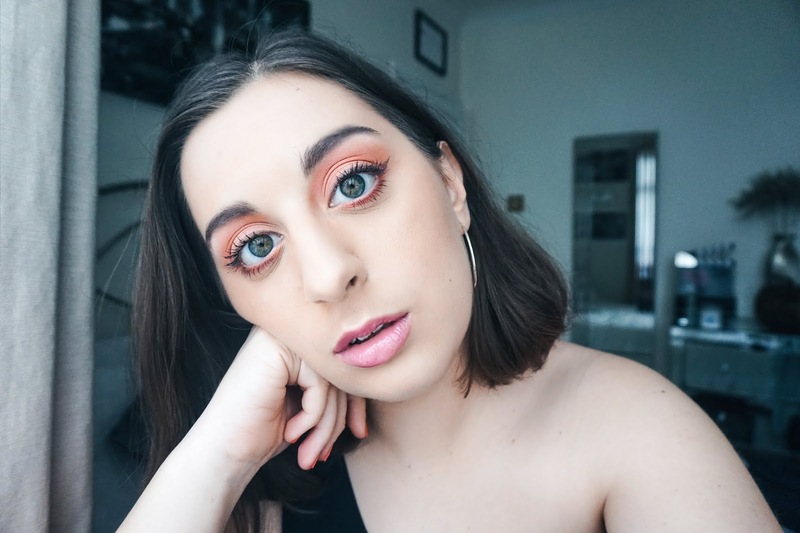 Great post - this is such a great wishlist! :) I think my favorites of your picks are the lip shirt and the palm tree swim suit. They are all so perfect for the summer!